YuM! I love this flavor combination! 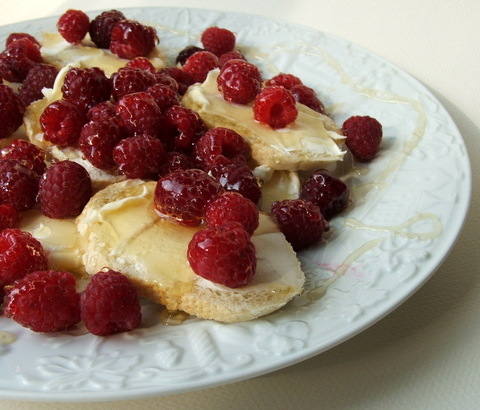 I’ve also broiled crostini topped with mascarpone, fruit and honey – very tasty! This is the yummiest looking appy I have seen in a long time! I am practically drooling! Boy, you’re on a roll! MMMMM, seriously what’s not to love!? Can you tell that I am seriously dreaming about the end of winter and the beginning of berry picking season? Your cupcakes look adorably festive! Btw, I’ve been guilty of sneaking a box of Duncan Hines into my shopping cart, on occasion. But, don’t tell anyone.